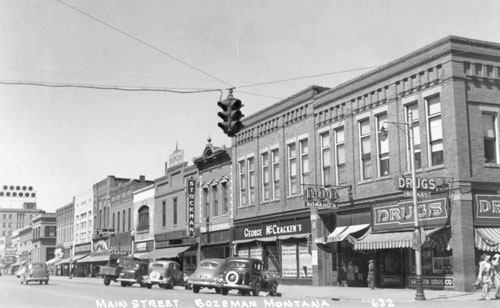 Bozeman, Montana is named after John M. Bozeman, founder of the strategic Bozeman Trail. Located in one of the fastest-growing counties–Gallatin–in Montana, Bozeman is home to Montana State University, the Museum of the Rockies, excellent Bozeman schools, world-class skiing and snowboarding, fishing, hunting, hiking, kayaking, horseback riding, ice climbing, camping, rafting, birding, biking, golf, hockey, running, and many more Bozeman area activities. 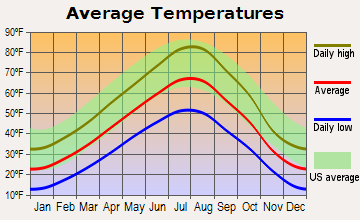 Early 2019: Bozeman, population ~50,000 vs ~42,000 in 2017 (latitude 45.68N, longitude, 111.05W, elevation 4772′), is in southwestern Montana, USA. Bozeman, MT is the seat of Gallatin County, MT, population ~101,000 residents in 2018 – Detailed Bozeman Demographics here. For thousands of years, Native American tribes like the Shoshone, Bangtail, Nez Perce, Sioux, Blackfeet, and Flathead made the Gallatin Valley home, though the Valley was not held by any particular Indian tribe. In July 1806, William Clark, arguably one of Bozeman’s first pioneers, of the Lewis and Clark Expedition, took a side trip, visiting the Gallatin Valley as he traveled east from Three Forks, Montana, following the Gallatin River. Journal entries from Clark’s party briefly describe the future Bozeman as the “Valley of the Flowers,” which came from the southwest Montana native tribes’ apt description of the pristine Gallatin Valley land. In 1863, John Bozeman and his trusty side-kick, John Jacobs, established the Bozeman Trail, a side trail off the famous Oregon Trail. The Bozeman Trail ran through the future city of Bozeman, across the Gallatin Valley, and up to the mining town, Virginia City, Montana, which lies on the western side of the Gallatin Valley in the Tobacco Root Mountains. John Bozeman began an agricultural colony in the Gallatin Valley, raising potatoes and wheat for Montana miners working in the Virginia City, MT gold mines. Bozeman, Rouse, and Beall stated, “standing right in the gate of the mountains ready to swallow up all tender-feet that would reach the territory from the east, with their golden fleeces to be taken care of….” In 1865, John Bozeman was appointed Gallatin County probate judge. About this time, he choose to discontinue leading wagon trains into Montana Territory. Soon thereafter, in 1868, the Indian Wars closed the Bozeman Trail, but the fertile Bozeman land soon attracted permanent settlers seeking agricultural real estate in Bozeman. In 1866, Nelson Story arrived in Bozeman, MT with 3,000 longhorn cattle. He snuck by both angry Native Americans and the U.S. Army, which then tried to turn Story back for safety reasons. Story’s cattle formed the first herd of today’s Montana Farm and Ranch industry. The story is told that Bozeman and Thomas Cover encountered a group of Blackfeet at the crossing of the Yellowstone River on April 18, 1867. At this point the story clouds, some say Cover killed Bozeman; some say the Blackfeet killed him. Regardless, John Bozeman’s adventurous life came to an abrupt and premature end, and considerable political disturbance in the area led local settlers and miners to request additional protection from the Blackfeet. Consequently, due to the public’s demand for more protection and John Bozeman’s mysterious death near Yellowstone, Fort Ellis was established. In response to the interplay between the locals and Blackfeet, Fort Ellis was established. Commanded by Captain R. S. LaMotte and two companies of the 2nd United States Cavalry, Fort Ellis was intrinsic to settlers and explorers, ensuring improved protection during the various “Indian Wars” of this period. The fort, named in honor of Gettysburg casualty, Colonel Augustus Van Horne Ellis, was decommissioned in 1886. Today, little remains of the actual site, its key realty now occupied by the Fort Ellis Experimental Station of Bozeman’s Montana State University (MSU). Not only was Fort Ellis established in this period, but Fort Elizabeth Meahger, which did not last long, was built by volunteer United States militiamen in 1867. Fort Meahger, by which it was better known, was established eight miles east of the town of Rock Creek. Northern Pacific Railway tracks were finally laid to the nascent town of Bozeman in 1883, and by 1900, Bozeman’s population reached 3,500 residents. Downtown Bozeman, Montana made an appearance in the film, “A River Runs Through It,” starring Brad Pitt. In the past, Bozeman’s film-making importance continued with its annual fall film festival, Hatchfest, which now has moved to Big Sky, Montana, 45 miles south of Bozeman. Hatch Experience, as it is now named, is an annual summit attracting inventors, film experts, designers, educators, music experts, scientists, and more, who freely mentor its Summit attenders. September 19-23, 2017. Bozeman’s refurbished historic Ellen Theater, named for Ellen Story, the mother of T.B. Story, a famous Bozeman architect, is the new home of Montana Theater Works, which is restoring the Bozeman Ellen Theatre to its original glory. Bozeman, MT is located at 45°40’40” North, 111°2’50” West (45.677890, -111.047274), in the Gallatin Valley with the Bridger Mountains (named for explorer, Jim Bridger) to the east, the Tobacco Root Mountains to the west, the Big Belt Mountains to the north, and to the south both the Gallatin Range, with its rugged Hyalite Mountains, and the spectacular Spanish Peaks of the Madison Range. US Interstate 90 (I-90) passes through Bozeman, which is 90 miles, 140 km, east by road of Butte, Montana; 140 miles, 230 km west, by road of Billings, Montana; 100 miles, 160km, south by road of Helena, Montana; 90 miles, 150 km, north by road of West Yellowstone, Montana’s Yellowstone National Park‘s western entry. According to the United States Census Bureau, Bozeman encompasses a total land area if 19.15 mi2 (49.59 km2); little is covered by water, except for the Hyalite Reservoir, local ponds and swamps, the Gallatin River, the Jefferson River, the Madison River, and other, small, excellent Montana fly-fishing, streams. Today, in 2019, Bozeman’s population growth rate is 4.2% and is approximately 50,000 residents. The population of Gallatin County, Montana is approximately 103,000. From 1990 to 2000, Gallatin County’s population increased by 34.4 percent, ranking Gallatin County, Montana the fifth largest Montana county and as the second fastest growing Montana county. From 1970 to 2000, the Gallatin County, Montana population increased by over 35,000 individuals, leading to a real estate boom in recent years, increasing sales of Bozeman homes, condos, and town-homes; pushing speculation in Bozeman land and Bozeman building lots; attracting Montana recreational land seekers; bringing Bozeman commercial real estate buyers; re-vitalizing interest in Bozeman ranches and Bozeman farms; and invigorating interest in other Bozeman real estate. The number of small businesses increased 27.7% from 2001 to 2006, increasing Bozeman small businesses to approximately 3940. In 2009, Gallatin County, MT was over 87,000 residents. This part of the northern Rocky Mountain region is home to world-class fly fishing, hunting, golfing, biking, kayaking, climbing, snowboarding, horseback riding, rafting, skiing, hiking, camping, birding, and a host of other recreational opportunities. Bozeman, population, ~48,000 (late 2018) (latitude 45.68N, longitude, 111.05W, elevation 4772′), is in southwestern Montana, USA. Bozeman, MT is the home of Gallatin County, MT, population ~98,000. In the past few years the Bozeman Creek Committee has been working to improve Bozeman’s urban waterway, Bozeman Creek. Montana made an appearance in the film, “A River Runs Through It,” starring Brad Pitt. Bozeman’s refurbished historic Ellen Theatre is the new home of Montana Theatre Works, offering excellent live plays and old movie night. Bozeman, MT is located at 45°40’40” North, 111°2’50” West (45.677890, -111.047274). US Interstate 90 (I-90) passes through Bozeman, coming east from Billings, Montana and going west through Butte, Montana and then Missoula, MT. Bozeman’s total land area is 19.15 mi2, 49.59 km2.